This is what packing your house does to you. When you need to get into the nitty-gritty dark, dank, musty, cobwebbed corners of your house, you find little treasures. 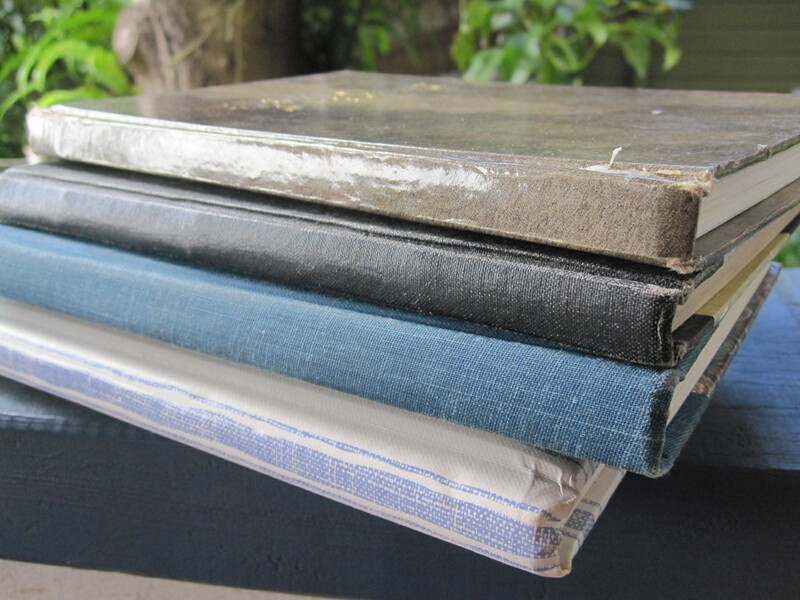 These 4 volumes chart my life from somewhere in 1991 to somewhere in 1993 – between 2 of the most influential relationships in my life; a 6 month solo overseas adventure; a lot of good times and a lot of sad times. One thing I do know is that I’m still the same! It has taken me a good couple of days’ reading, but I’ve poured over every word, cried with my 22 year old self, laughed with some of the antics I got up to (boy, there were a lot of those!!! ), re-lived all the wonderful sights I’ve seen, people I’ve met, friends I’ve made and hearts I’ve broken (and vise-versa). I was going to burn them!! But now I see the value of them, even though no-one else will read them. I can imagine my 62 year old self finding these treasures once again, perhaps as Michael and I are down-sizing, and reading every single word again and being transported to a world of that carefree yet intense spirit. It filled in a lot of detail of days that until now have only been “events”. I now understand why I feel a particular way towards a person…it sounds weird, right? It’s the same way a smell evokes a really intense emotion. These journals have given meaning to those feelings and it’s great. It’s also played the role of MythBuster!! A lot of things I thought were true were just the embellishment of a nostalgic girl-come-woman. And that was refreshing!! Anyhooo, off to do more packing. We can begin moving from this Friday. Exciting and fearful all at once. Sounds like a real treasure to find.And love the blog header real cute.Take care Kerry ps enjoy the move. Very powerful stuff Gigi and so lucky that you take the time to record these snapshots of your life 🙂 As Kerry said real treasure! !